Remember games like Asteroids, Tempest, Pac-man, and other single-screen arcade games? Games with mechanics that are simple to learn but take time to master and focus almost exclusively on surviving for as long as possible in order to achieve that coveted high score. 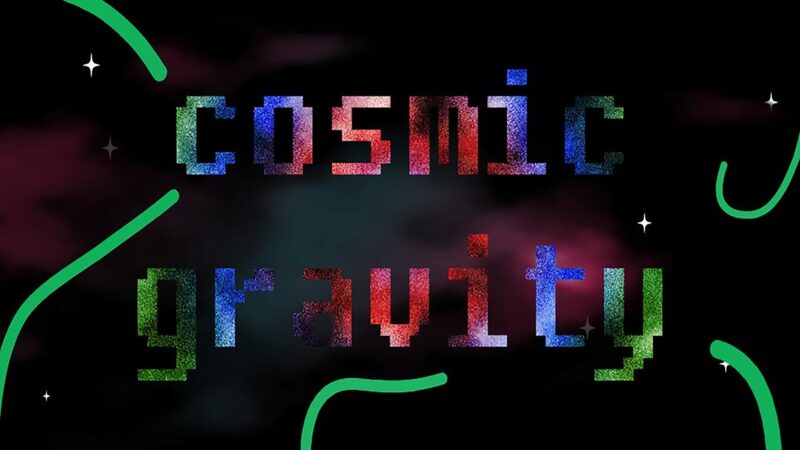 Cosmic Gravity is a mobile game built in the vein of that era of game design but remains unique by utilizing the ubiquitous constraints of touchscreen devices. So, without further ado, here’s some information on the final product. You awaken from cryogenically induced stasis to discover your warp through space has landed you in uncharted territory. 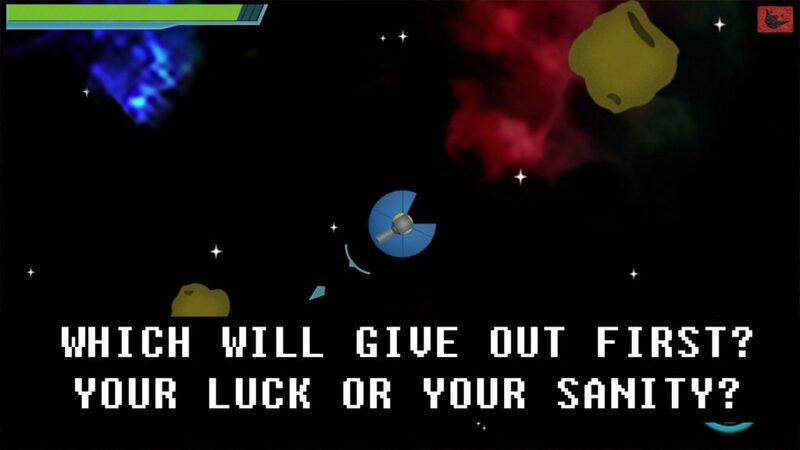 As captain, you have full control of the ship’s gravity cannon – a device that was created to help steer ships and move objects through space. The cannon creates gravity wells that warp the trajectory of objects drifting through space. 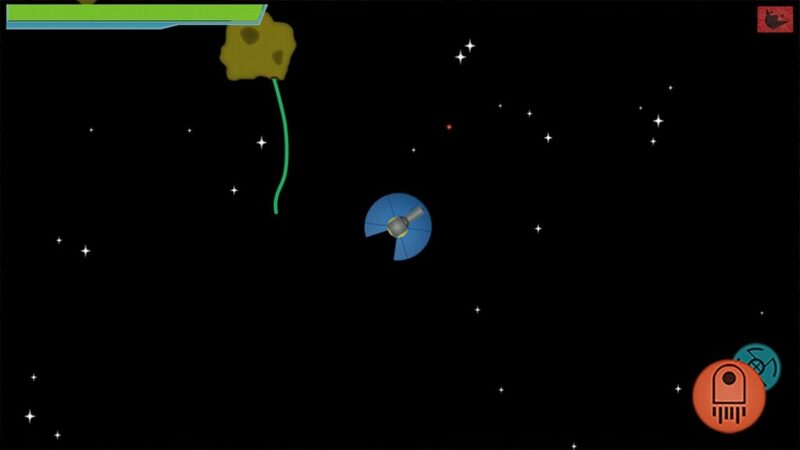 You’ll have to use this cannon to steer your ship and avoid dangerous asteroids. The grav-cannon uses energy which, thankfully can be collected from errant particles using the ‘inhale’ function of the canon. Until you can find a way home, you’ll have to try and keep energy stores high so you can navigate around danger. Cosmic Gravity features a setting heavily influenced by Lovecraftian horror. Your grasp on reality will get put to the test as the universe around you becomes stranger and stranger. Inanimate objects start to take on life before devolving into eldritch horrors that take only a passing interest in your presence – assuming they’re even there at all. Prepare to experience impossible space, questionable perception, and worst of all – the indifference of the cosmos and those that dwell in the expanse. Some Hipster Punk is the pseudonym for a single designer/developer (me). I’ve been into game design pretty much since middle school. I’ve pursued game design both professionally and academically. 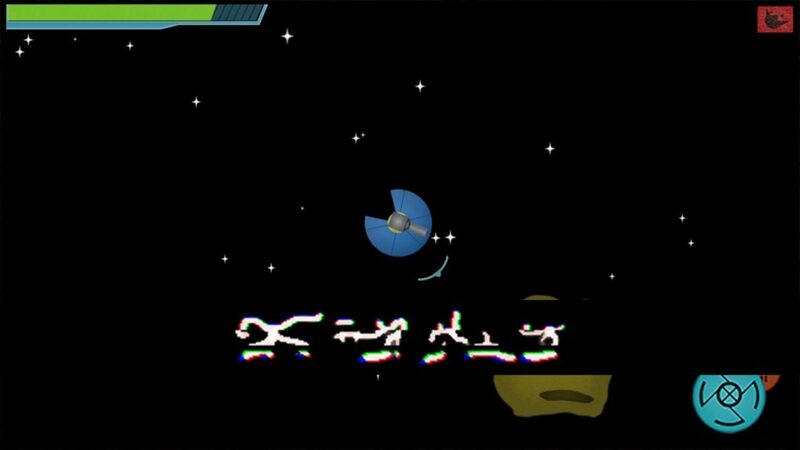 I’ve worked on AAA titles, and with Cosmic Gravity, I’ve released my first independent game. There’s more to come so make sure to follow me on Twitter @ahipsterpunk! Follow Some Hipster Punk on Twitter, and Instagram for insight on future releases! This article was Published by Edamame Reviews, Written by Some Hipster Punk.